This stunning ivory/white designer wedding dress by Lusan Mandongus has a beautiful lace design, detailed with delicate bead-work. 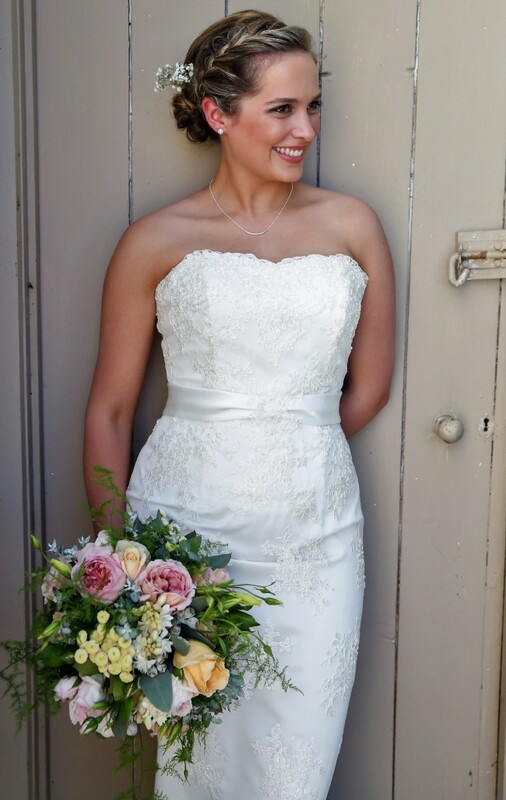 An A-line frame with a strapless subtle sweetheart neckline and a built in lace up boned corset is very flattering. It can be easily adjusted to fit your body type without the need for alterations of the bodice. A simple ribbon detail accentuates the waistline and gorgeous buttoned back complements the fine lace pattern. The dress has been professionally dry cleaned by specialist wedding dress cleaner and has since been cared for as instructed. There are minor marks on the lower hem of the dress and a small tear which can be easily repaired by a seamstress. I am 165cm and wore the dress with a small heal. This dress was bought new in December 2014 and has only been worn once. This exquisite dress received many complements on the day and I am sad to sell but want someone else to experience the joy of wearing it.